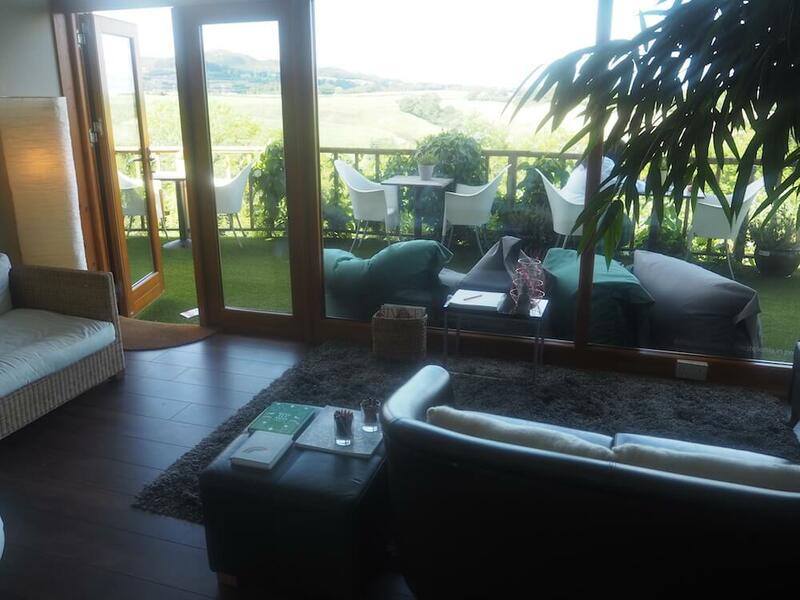 I'll be the first to admit it – I am not a huge spa fan, so when the lovely Adrienne from Enniskerry's Rainforest Spa got in touch to offer me an afternoon of relaxation, it was really the afternoon tea and Swedish back massage that really got me interested (more on which anon). Why don't I love spas? Well, I just never find them all that relaxing. It's kind of like when you go to a friend's house for dinner, and she gets drunk and tries to get everyone to dance in the sitting room; it feels slightly forced. As if I'm going to just sit in something called a "relaxation room" and instantly feel all of my stress and anxiety leave my body. It's too much pressure! But my experience at the Rainforest Spa put paid to any spa-related preconceptions. Rainforest Spa is set on the grounds of the Summerhill House Hotel in Enniskerry, Co Wicklow, just down the road from Powerscourt Hotel. It launched in 2009, and has since won three Irish Spa Awards and was also Ireland's first certified Cancer Aware Spa, which may be something to bear in mind if you fancy treating someone who's currently undergoing treatment. The Renew Package is a four-parter: afternoon tea, followed by use of the spa facilities, a 45-minute Swedish back massage, 30-minute facial and a 15-minute brow tidy (which I swapped out for a mini mani, as my brows have been very well tended to of late by Claudine King). Décor wise, there's a lot to look at: geometric tiles in the hallway (perfect for my #ootd selfie), enormous fake flowers in the entrance corridor, an old-school rotary dial telephone on a bureau... It wouldn't be an odd choice for a Shining remake, but it's kind of creepy and cosy in equal measure. Heading over to the Rainforest Spa then for our chillout time, the first stop was the Whisper Room – which, as naming conventions go, is far preferable to "relaxation room", if you ask me. As an aside: apologies for the photographs. There was something on my camera lens, which I didn't notice until it was too late. Can we just pretend they're artily smudged? There's something slightly unreliable about going to a spa as an invited guest; I have never, ever had a bad experience with staff, for example, and Rainforest was no exception. From the receptionist to the staff member who popped her head out to check if we needed help with the outdoor hot tub (so gorgeous) to my therapist, Vivienne, everyone was super polite and friendly, without being overbearing. Will everyone have that experience? I'd hope so – but without investing significant amounts of cash into doing mystery spa visits (all investors' enquiries welcome), I'll never know. To the treatments: I, er, can't tell you too much about them, because I fell asleep. Which is always a plus, in my books. I can, however, tell you that my back and shoulders felt far looser and more relaxed the following day – working at a desk has its downsides, even if that desk is in my house, with my pup and unlimited cups of coffee – and my skin was glowing. Another plus? Vivienne didn't try to sell me any of the Dermalogica products she used on my face. That may well be because I was asleep, but I'd like to think it was part of their super friendly but not-at-all pushy ethos. As day spas go, this is the first I've tried that I would, hand on heart, 100% recommend – because I genuinely felt far more relaxed leaving than I did coming in. And, y'know, I don't drink, so my recommendation has no rose tint about it! I was a guest of Rainforest Spa; no money changed hands, therefore this isn't a sponsored post. See my disclaimer for more on my attitude to freebies and commercial collaborations. All opinions are my own.